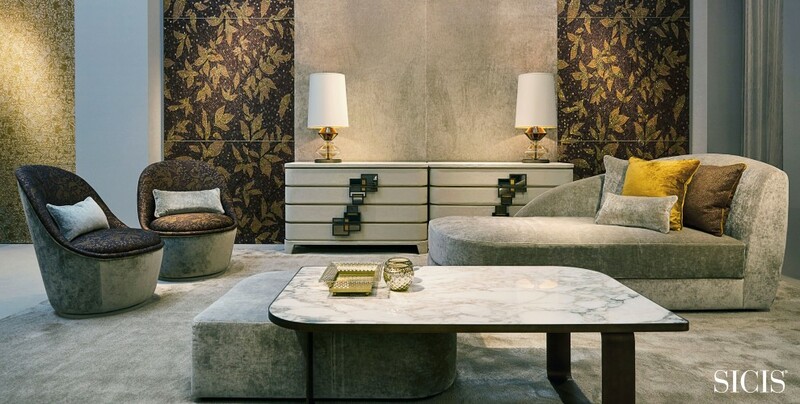 Sicis took part in the first edition of Salone del Mobile in Shanghai last November, an event created with the intent to promote the italian style in the Chinese market. A market where the company has been present for over a decade. We displayed at the stand our furniture collections, lights, and accessories decorations, forming sceneries with eclectic taste, incredible refinement and elegance, charm of a warm and inviting dwelling. 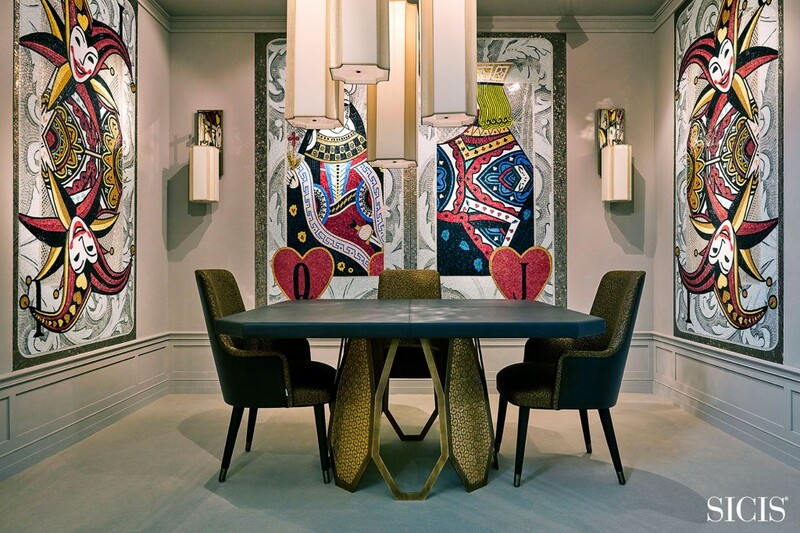 The underlying theme of the different elements of each of the Maison works remained the mosaic, iconic Company product, valued not only in the interiors but in any detail. 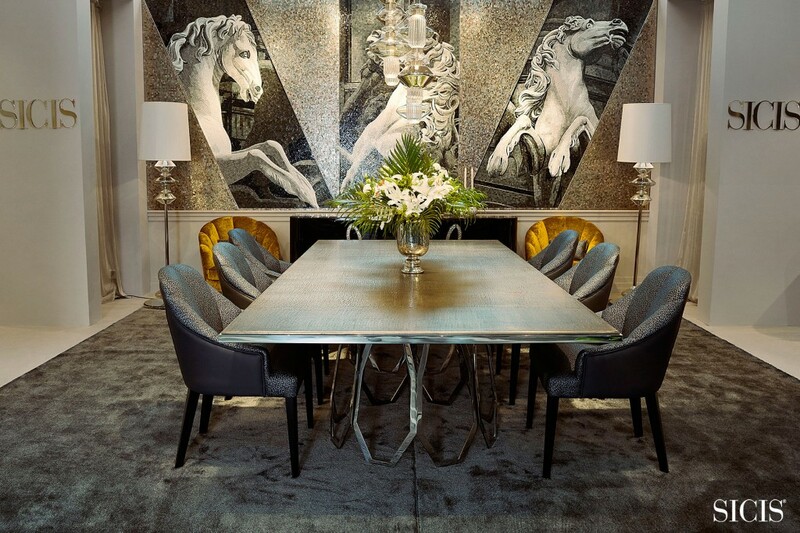 In the dining room, everything was coordinated in shades of gray. The Borgia Table had a chromed steel base with irregular octagons and the metal top is handcrafted in relief. Combined were the Diamond armchairs, showcased also as side-chair version. The living Dorian consisted of sofa with linear shapes and central side-table. Juxtaposed was the low-Cube table with mirror finish and top with different texture alternated. The artistic mosaic adorning the walls is representing a stylized maple in shades of pink. 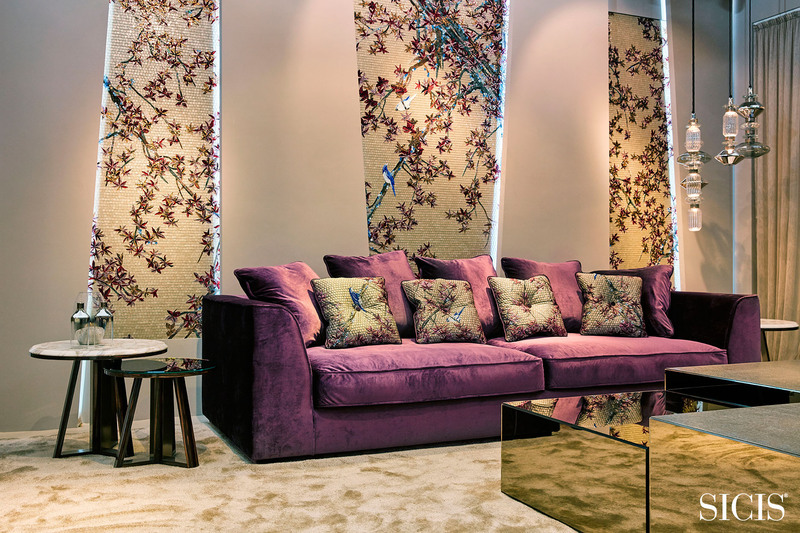 The oriental design was also reflected on some of the sofa cushions with Sicis fabrics and adds to the whole harmony and personality. The inedited playroom formed by Lacroix seats and lights from Bauta line, was made unique by walls decorated with mosaics depicting playing cards. The mosaic masters had worked skillfully to impress to each card a feeling of movement through the light reflecting on the panels. In the Suite, living and bedroom were from the Visconti Casanova collection and dressed up with the new fabric from the Sicis Tessere collection. Work carried out with skill and intelligence, shaped through innovation, knowledge of the subject and of ancient techniques is what Sicis brought to this exhibition.